The most essential thing about time is your life! For most Baby Boomers today, time is intricately linked to working longer, saving money and chosen life style. Most of you are too busy working hard to make a living forgetting that you could work yourself to death. Time saving tips for busy Baby boomers is a must if you want to achieve your goals and remain healthy. The problem for most of you is how do you merge the present (Working Longer) with your future(retirement) when you have been told that you have a savings shortfall to catch up with. I do wonder sometimes if the government is telling the whole truth about pensions and savings. The question that comes up is: Will I have enough time to earn a decent living, have a pension, enjoy life with family and live comfortably without stress and anxiety. Yes you can! If you have a decent plan supported by goals in place. You do not have to do it all? Having the wisdom to stop, look and listen to your heart is crucial. Lets lay down some tips for you to work with. *1.WHAT DO YOU REALLY WANT: Do an assessment on yourself. Write down what is important and how to achieve them. For Example: I want to work part-time and spend more time with my family. How are you going to achieve it? Write down your plans clearly. Take Action! 2 WHO ARE YOU REALLY-Personality and character can have an impact on your time. Are you prone to last minute plans, are you scattered, do you do unnecessary things? 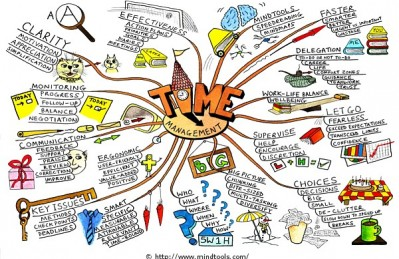 Use a ‘me map’ to manage your time-line. This is observed from your bad habits. I write a note to myself on a post-it to be prepared’. You can too. 3. YOUR INSPIRED GUIDE PLAN-Before you go to bed write your day plan for the next day. Read it to yourself, then imagine how you are going to carry it out step by step. Meditate then go to bed and let your subconscious mind take over. The next day with a clear head start your days plan with a clear mind. All will be well. Tip:Create a weekly planner on your mobile phone and highlight your days clearly. 4. GOALS /AGELESS MANIFESTO: As you work towards your plans goals/Ageless manifesto or both gives you the direction and serves as a mission statement. Write down short , medium and long-term goals. Fill in the gaps. refer to *1 again to help you focus. You will find that you will not only save time it gives you clearer picture of what you want. My ageless manifesto is hanging on the wall as a reminder. 5.MULTI-TASKING TIME BOMB: Doing too many things at once can cause chaos, confusion and blunders.For example losing money you cannot afford. Finish one thing before starting another. For example before writing this blog, I started preparing an assessment for a client which I will go back to once I have completed this blog. Phone messages will go to voice mail. 6 HANDLING STRESS: Not everything goes as plan. But knowing yourself will help your achievements. Do you thrive on pressure? Are you easily stressed out about the future and what it will bring.There is a correlation between stress and time. If you life is disorganised it can cause chaos. Take stock and pay attention to what’s important. Know the difference between your wants and needs. In this economy the focus is on needs rather than wants. Frugal living is the way to go. 7.MAKE SMALL CHANGES: Time is not set in stone. Things change and sometimes you change too. So the most important thing you can do is to adapt your time management according to your life story. For instance, you may change from full-time to part-time because of redundancy. This may have an effect on your retirement savings timeline and family. But you can fall back on an unused skill and work from home and earn a living. A busy lifestyle when organised can bring you work life balance and fulfilment rather than unwanted stress. The detail is in the planning. Which of these tips apply to you? Do you have some tips to share? Let me know.